Ministry workers were keen to start sharing the gospel, but they were also deeply concerned by how many people were suffering from chronic sicknesses that could be avoided. It might have tempting to simply lecture people about hygiene then expect them to adopt cleaner practices. The workers, however, knew that something more was needed. The World Economic Forum investigated the effectiveness of foreign aid and found disturbing results. In their findings, they cited several academics who had collected research and analyzed studies done on traditional foreign aid programs in developing countries. These scholars had found that, even in best case scenarios, the relationship between aid and local growth was statistically insignificant. In short, the aid wasn’t making a long-term difference for people. World Challenge’s president, Gary Wilkerson, had made a similar observation while traveling in Africa years before. A solution clearly needed to be found, and Gary spent his flight back to the United States reading about alternative methods of offering aid. Now World Challenge’s development programs are centered around the idea that God doesn’t abandon his children without resources and problem-solving intellect. Lessons were carefully designed to help individuals build self-sufficiency as their relationship with God grows. The trust that God loves and provides for them often motivates them to be generous with their success, and communities begin to reach out and lift up their own less fortunate. The end goal is to encourage people toward deeper relationships with God and their local church family rather than deeper dependency on foreign aid. God’s instructions were meant to keep the Israelites safe and healthy, and equivalent practices for modern day believers are only appropriate. World Challenge partners and local Lira churches worked together to offer people in nearby villages lessons about sanitation and how God cares about people’s physical wellness as well as the spiritual. With this incentive, locals’ practices changed considerably. 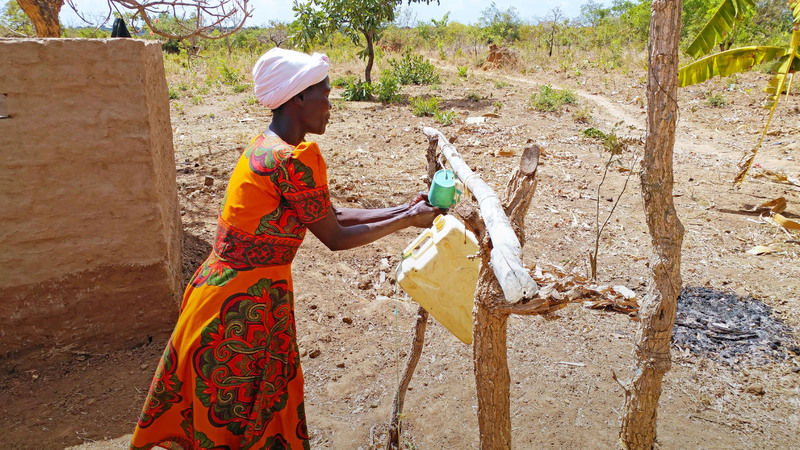 People began building washing stations called “tippy-taps” and more latrines. These in turn had a notable effect on the community. One participant of the program Mr. Francis Ojok testified that since taking part in the training his entire family have not fallen ill with typhoid, diarrhea or even fever in the past couple of years. He observed, “You know, in the Bible the priests were to wash both their hands and feet before performing their duties at the tabernacle.” God certainly seemed to have a design for cleanliness beyond just ritual. Francis Ojok and his family are not alone in their experience. Communities in this region have seen a 40 percent decrease of preventable diseases since the training took place. Many locals have taken ownership of their newfound knowledge and are spreading the practice along with Bible lessons to their neighbors. With the success experienced here, World Challenge workers are continuing to move forward, seeking to make sustainable, long-lasting change.